Pop all the ingredients in a jar with an airtight lid. Give it a good mix. It should be the consistency of yogurt, because it thickens overnight. Pop on the lid and close tightly. And that’s it. It will be ready to serve the next day (or the ones after that). If it’s too thick, just add a little more milk. They look fantastic, but you can’t eat them! Really? How long? 15 months or so since my last post, it seems. 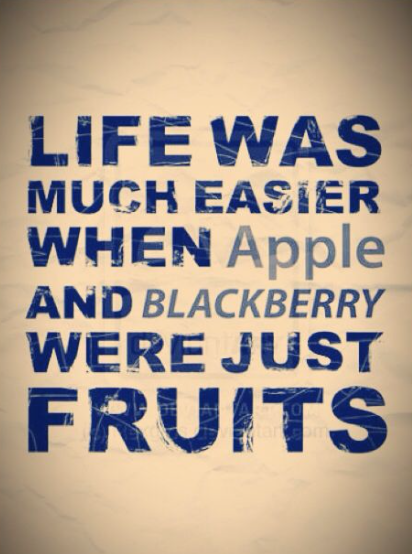 Things have changed since way back then. I’m now a third the way through my last year at university and everything is crazy busy. Not for me the regular student life. The minute my feet pass over the threshold of my house, I am bombarded with the same question, day after day. “Mum what’s for dinner’. Sometimes I just don’t know the answer and need to make a frantic dash to the local supermarket for something quick and nourishing (but not always massively healthy), to satisfy their constant longing for food. So, this post doesn’t come attached to a recipe, but photographs of flowers. I was given them shortly after Christmas (they weren’t dead then, some of my friends quite like me!). They were beautiful when I was given them, but I knew that when they died, they would take on a new beauty. They lived for ages (what was their secret! ), but slowly and surely, they wilted and dried out, like aging skin, but kept their wonderful colours, enhanced by their papery texture. They were crying out to be photographed. At this time of year, I start thinking about festive food. The first job on my list of preparations is to empty out my usually overstocked freezer to make way for dishes prepared ahead of time, to take the strain off Christmas entertaining. Every year without exception I find bags of blackberries, freshly frozen from one of my many foraging frenzies. At the end of August and beginning of September, when the warm days of summer are either present or recent enough to imagine the heat on the back of your arms, the blackberries ripen; round and plump glistening like wild garnets. I just can’t resist. This year I‘ve made jam and chutney and still had plenty of blackberries left. I had the urge to bake (I blame The Great British Bake off- BBC have a lot to answer for!). ever faithful and very stained Red Velvet & Chocolate Heartache, by Harry Eastwood. The recipe also uses courgette, a vegetable that always gets wasted because no one in my family wants to eat it, apart from me. I just have to make sure that I peel them well, and they never guess what the ‘mystery ingredient’ is’! Finely grate the lemon zest on to a plate. Beat the eggs and sugar together with an electric whisk or mixer for exactly 3 minutes and till pale and creamy. Add the courgette and lemon zest and beat. Using a spatula, wooden spoon (or if you’re a complete lazy bones like me, continue using the mixer), beat in the flour, ground almonds, baking powder, bicarbonate of soda and salt until they are thoroughly mixed. Be quick though. Quickly stir in the seeds and berries. It’s important to use a spoon or spatula for this part, so that the berries don’t become mushy. Spoon the mixture into the cases, making sure that the mixture comes right to the top. Bake in the centre of your oven for 35 minutes. Remove the muffins from the oven and cool on a wire rack. They might be cracked on the top. Do not be alarmed, this is normal! Absence makes the heart grow fonder/Better late than never…..
Two sayings that make me feel slightly better for letting my blog slide, although they haven’t worked that well, as I’ve had feelings of guilt for being so neglectful. It has been a crazy summer with the emotional ups and downs of exams (not mine) and change of school (again, not mine! ), holidays, Proms and parties. I have also made procrastination an art form over the last few months; thinking of things to write about and photograph, but never actually getting my arse into action. I always get inspiration when I can’t get pen to paper/ fingers to keys. When I’m out for a run for example or driving the car (usually collecting/delivering children to various locations), and by the same I’m sat in front of my Mac, I have total writers block. The only way to deal with stubborn grey matter is to ignore it and let it pass and then eventually, thoughts and activity with begin again. So here is to a fresh start, a new beginning, and hope it never happens again! February and March is birthday season in our family, which means the obligatory birthday cake or 2, or in the case of my eldest daughter, 4! – Well she was 16! On this occasion, some of the cakes didn’t need to be gluten free, but one did, and that is where my gluten free cake ‘bible’, ‘Red Velvet & Chocolate Heartache’ by Harry Eastwood came in again. It is one of those special books, that has dog-eared pages, splattered with cake mix. The really interesting thing about the recipes is that they all include vegetables in their ingredients. Handy if you’ve got a glut of anything or just vegetables about to ‘turn’. The other thing is that the vegetables are interchangeable, for example sweet potato instead of butternut squash (lets face it, they’re easier to peel!). Happy New Year! I know its February-where did January go? January’s often a month that drags but this year my feet hardly touched the ground, with work, family commitments and the shared stresses of my daughters mock exams. One certainty in the New Year, is the threat of the common cold. I’ve made it my mission this month to eat super healthily, drink plenty of fluids and get plenty of fresh air. It cant be good to be inside all of the time, even when its a bit chilly. So far, I’ve managed to ‘dodge the bullet’ and remained ‘cold’ free. I’ve also been hoping for some snow. I love the way it’s so bright and muffles the sounds of the street. We had a brief flurry recently, but sadly it didn’t settle, still, there’s always next year. Soup is the perfect thing to have when it is really cold outside. I have this romantic vision of clutching a mug of soup, standing outside in the snow. To date I’ve yet to do that, but maybe next time we have a winter wonderland I will. Summertime is my favourite time of year, and I really love all the sunshine foods that available, but I don’t just confine them to the summer, and so on a dull grey February day, of which there is usually plenty, I make this colourful soup. Place the tomatoes cut side up on a baking sheet. Grill until soft and darkening at the edges. Preheat the oven to 190C/375F/Gas 5. Heat the oil and then add the garlic, herbs and the remaining vegetables. Cook until the vegetables start to soften and then transfer to a roasting tin or baking dish and roast for 30 minutes until soft. Blend until smooth along with the grilled tomatoes, tomato puree, honey and lemon juice, until it is a smooth pouring consistency, adding water if needed. Sieve the mixture to separate the pulp. Heat gently and season to taste. Garnish with a swirl of basil puree. If you have a mini blender, puree the basil with the salt, olive oil and balsamic vinegar. If not use a pestle and mortar, crushing up the basil with the salt first before and the rest of the ingredients. Well Christmas Day is nearly here and what promised to be an organized event has descended into laidback chaos! It started well. I shot some images and designed my Christmas cards. I made lists. Plenty of lists. And then… I couldn’t find my address list (I’m sure that there is a list somewhere on my Mac!) and then the printers messed up my order for my cards, only printing half of them correctly. They were printed again and still weren’t right, and eventually I ran out of time to send most of them. The lists have gone by the wayside, and are now ready to be recycled. But I don’t mind at all. Christmas Eve and the big day itself can be too stressful, when the most important thing is that you are with the people that love you and that you love back. It doesn’t matter if you’re late serving lunch. It’s your home, not a restaurant. It’s nice to be cooked for. I haven’t had Christmas Lunch cooked for me for about 20 or so years. I don’t mind at all because I love cooking, but others really hate it and so a little generosity and kindness should be the theme for the day. 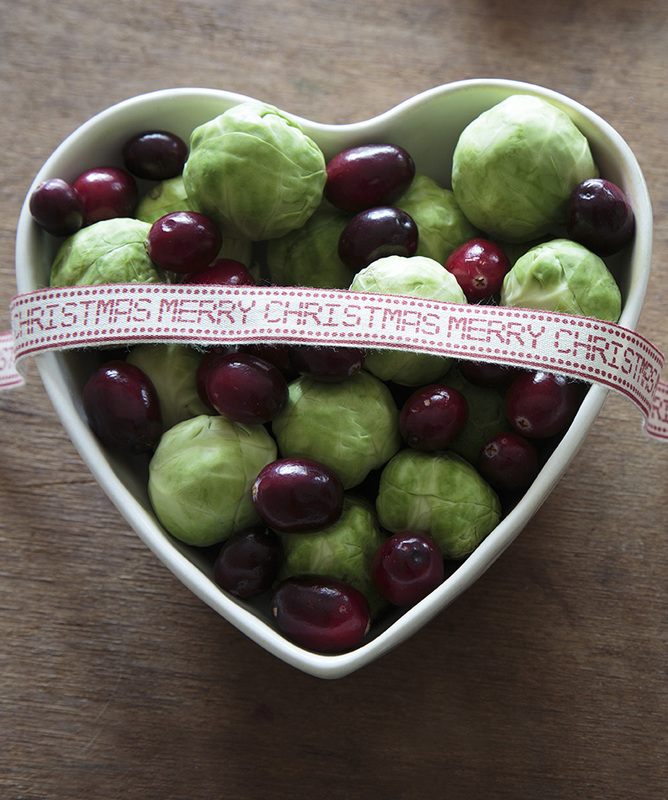 So here’s to a really lovely Christmas Day and a happy healthy 2015! Ok, I have to admit it- I’m not a massive fan of cauliflower. I’m not keen on the texture or flavour. It’s a brassica like cabbage (which I love) and broccoli (which is ok sometimes) and Brussels Sprouts (NO! )- One group of foods, but not one of them the same as the other, as far as my taste buds are concerned. That is not to say that I don’t eat Cauliflower. I do. It’s so nutritious. It would be wrong not to. I just have to cut it into small pieces and add a different flavour (cauliflower cheese, anyone?) or blend it up and make it into soup. This soup is really spicy, which suits me, but if you really like the taste of cauliflower, then add less harissa paste. 50g toasted flaked almonds and a little extra to garnish. Heat the oil in a large saucepan and gently fry the spices and harissa paste for 2 minutes. Add the cauliflower followed by the stock and flaked almonds. Allow to cool a little and then puree until smooth. Pour into bowls and top with a swirl of harissa paste mixed with a little water (otherwise it won’t swirl!) and a sprinkling of flaked almonds. And add a swirl of yogurt if you want to cool it down a bit! What’s not to love about cake? Victoria Sponge, Carrot Cake, Coffee cake, Lemon Drizzle Cake, Fruit Cake, I love all of them.